Clean gains: Krishnan says the firm expects returns of around 30%. Global Environment Fund (GEF) started investing in “green" businesses in 1990 with a $5 million corpus, which was worth Rs8.75 crore at that time, and now has $800 million?under management. The Washington, DC-based firm made its first major Indian investment in Niko Resources Ltd in 2000 with $18 million for a 10.7% stake and has since exited for an undisclosed amount. 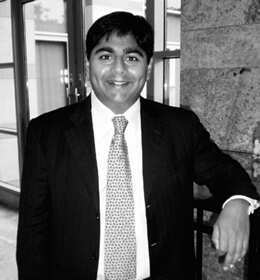 A year ago, the firm hired Sanjeev Krishnan, senior associate and India lead, to ramp up investments in India. Since then, GEF has invested in Bangalore-based electric car companyReva Electric Car Co. Pvt. Ltdin 2006. Investments are being made from the $350 million Emerging Markets Fund that invests mainly in emerging markets: India, China, Latin America, South Africa and Eastern Europe.Around 20-25% of the fund corpus is expected to be deployed in India, but it could be as little as zero if other countries present better investments. Broadly, clean energy, clean technology, and environmental infrastructure and services. What are the challenges of doing deals in India? Valuations. But what India offers is exits for investors because of the buoyant capital markets. How does India compare with other emerging markets? China, like India, has a huge demand for energy and (is seeing) increased consumerism. But China has more of an environmental issue because of its large manufacturing sector. Brazil is the leader in clean fuels as the government has supported it since the 1970s. Eastern Europe is ripe for clean energy because the European Union has been very supportive policy-wise. India’s biggest challenge for investors is policy. Why have you partnered with Yes Bank? They have done $3.1 billion of clean energy financing, so they are one of the largest clean energy players in India, and have strong relationships. We bring the sector expertise and so we see the partnership as symbiotic. We invest $20-50 million, although it doesn’t have to be at one time, and stay invested for three to seven years. We don’t use leverage in our deals. And GEF doesn’t do technology plays. We are not driven by positive economic impact or environment impact or social impact. We are driven by returns. We expect around 30% and have a track record in this sector.